Zotac has made quite a name for itself with its mini-PC products. 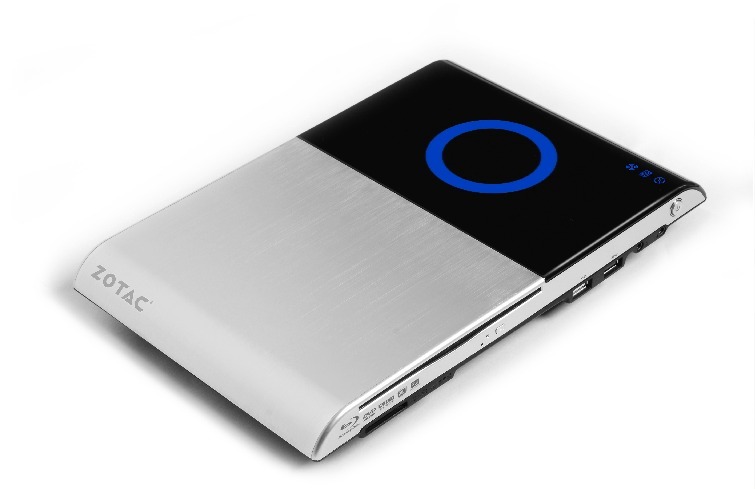 The ZBOX offering aims at bringing an affordable Blu-Ray equipped HTPC option to the masses for some time now. Look no further than our review of the Zotac ZBOX HD-ID11 to see what the fuss has been about. Over the last 12 months, however, the relevance of the Atom/ION combination has been steadily diminishing. The release of Clarkdale and Arrandale based systems have bared many of the shortcomings of the ION platform. It is extremely surprising to find a product refresh this late into 2010 willing to still utilize the Atom/ION2 combination. Zotac has released two versions of this box, the HD-ID33BR-U and the HD-ID34BR-U. The units are identical in terms of the system platform and specifications although the HD-ID34BR-U comes with a few extras, which I will touch upon further on in the review. On a technical level, the Intel Atom, paired with Nvidia’s Ion, falls short of some of the other solutions out there. However, the Zotac ZBOX HD-ID34, makes a different kind of statement., realized as soon as one pulls it out of the box. With a slim form factor and light weight, but solid feel, the HD-ID34BR-U has more of a resemblance to other elegant home theater components than the more utilitarian media streaming boxes and HTPCs released in the past. What Zotac has done here, is take a page out of Apple’s book and designed a HTPC with a styling that may draw in consumers regardless of the hardware found within. Most of the visitors I’ve had over since receiving the review unit did not realize that this thing was a PC. Instead they thought it was an impressive blu-ray player, which in many ways, it is. "The Zotac ZBOX obtained 308 out of a maximum possible 358 points (86%) in our media streaming test suite. Most of the points were lost in files containing a bitstreaming test for an HD audio codec, which the Zotac Zbox is simply incapable of doing due to the limitations of the hardware. Also, points were lost due to stuttering in high definition Real Media video streams. These decode for Real Media is not accelerated by the GPU and the Atom D525, without the aid of the ION, is not able to playback HD content stutter free." "stuttering in high definition Real Media video streams"
"Real Media" being the point. I haven't seen, streamed, or downloaded a Real Media file since 2001, and even then I avoided them the best I could. That sentence doesn't apply to any other tested HD media, so I don't think you have to worry. True, Real Media is not something I use normally. Bitsteaming however, as you pointed out, must work. When you say i3, which one's do you think about then? I have personally used a Core i3-330UM laptop (Acer Timeline X) for bitstreaming lossless to my receiver. It handled Blu-ray flawlessly as well as every other file type I tried *except* it didn't handle 1080p Youtube quite as well, there were very mild frame skips depending on content. A higher speed i3M or an entry-level i5M would probably do the trick. Without the need for Ion, hopefully such a platform could fit into the same chassis. They draw similar power (~18W) and would possibly generate less heat than the Atom/Ion combo.